Boiler capacity: 12,0 - 18,0 lt.
Packaging Detail: Machine in carton box. Carton box(es) on pallet. Every machine is singular packed in carton box and shipped only on pallet. 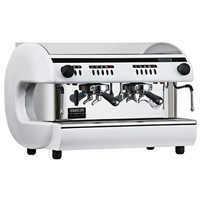 We produce several models of espresso coffee machines and coffee grinders all Made In Italy. Due to our long years experience we're able to supply and satisfy all our customer requests with our big product portfolio and are also able to produce OEM products by request. We can provide technical training to our customers technicians if necessary, in one or more of our production plants. 969.coffee AG® is the new Swiss headquarter and administration of an Italian group of producers, active in the coffee branch since more than 20 years. Our coffee roaster plants are 2 located close to Treviso (Venice) and Rome.